72 Townsend condos are located in the upscale South Beach area of San Francisco, California. Built in 2016, the building features a total of 72 modern condos with a variety of one to three bedroom units that range in size from 619 to 1,106 square feet of living space. Many of the units in this building offer quality Studio Becker soft closing cabinetry, Cesarstone countertops in the Kitchen, hardwood flooring and exterior decks. 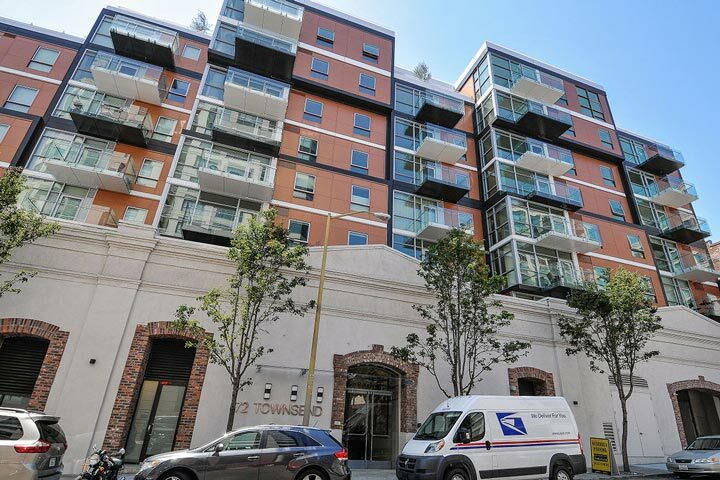 Below are the current 72 Townsend condos for sale and for lease in San Francisco. Please contact us at 888-990-7111 with questions regarding this community and any of the condos listed for sale here. 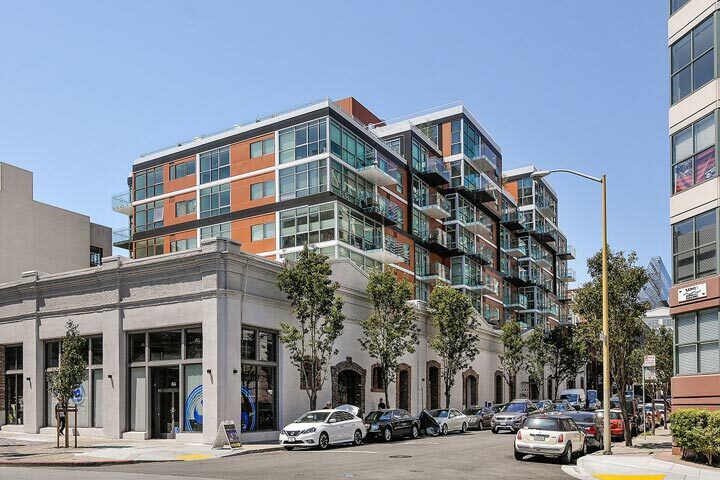 The 72 Townsend community offers many neighborhood amenities which include a prime location near the Giants stadium and the San Francisco Museum of Modern Art. The building offers an on-site attendant, hospitality lounge and private parking spaces. The top outdoor common terrace is a great gathering spot and features panoramic city and bay views. There are also many great restaurants within walking distance from this location.